If any part of your braces become damaged, or if you develop tooth decay problems on multiple teeth, this can increase the duration of the alignment process. To help you prevent these issues, Dr. Sellke & Reily offers these important oral hygiene tips to help you maintain your braces and good oral health. 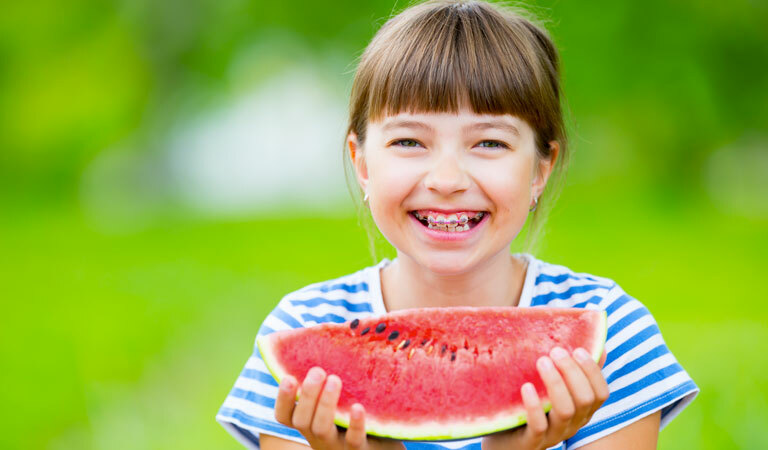 Certain activities and foods can pose a threat to your braces, potentially bending wires, loosening brackets and pulling spacers out of place. This is most commonly caused by chewing gum or eating sticky foods. However, you should also be mindful of biting into and chewing hard foods as this can also cause significant damage. This includes bad habits like nibbling on pencils and pens or crunching on ice. If a damaged piece of hardware creates a sharp point that threatens to injure your mouth, you should cover it with orthodontic wax. If you don’t immediately have the wax on hand, you can improvise with a pencil eraser. Once your mouth is protected from harm, you should call Dr. Sellke & Reily to have it repaired as soon as possible. Maintaining your daily oral hygiene routine is very important for preventing cavities and gum disease. If you have trouble cleaning around the braces or flossing the spaces between your teeth, you might want to try using interdental brushes or a floss threader loaded with waxed dental floss. Orthodontic Specialists of Lake County, we are here for your healthy smile! We also have three convenient locations in Antioch, Grayslake, and Gurnee!